Recent theatre: Merry Wives of Windsor National Tour. Blood Wedding Dundee Rep. Bunny’s Vendetta Blue Eagle, Derry. Being Tommy Cooper’ The Old Red Lion. Fool for Love The Riverside Studios. Calendar Girls’ tour and Noel Coward Theatre. Northern Broadsides production include; Anthony and Cleopatra, Merry Wives, King John. Christmas Carol Vasa Theatre Stockholm. Whistle Down the Wind The Aldwych. Life Blood The Bridewell. Neville’s Island Dukes Lancaster. Northern Trawl Remould Theatre. Blasted Graeae. On screen – Doctors, EastEnders, Downton Abbey, Badger, Doctors, Geoffrey’s Belt, Set The Thames On Fire, and Eyes And Prize. Radio – Since 1996 Gerard has been a member of the BBC Radio Radio Drama Company. Productions: The Forsyth Saga, StageLeft, Jane Eyre, Home Front, The Tempest, The Great Gatsby, Clare in the Community, and Silver Street, the daily soap for The BBC Asian Network. Gerard trained at The Royal Welsh College. Theatre credits include work with the National Theatre of Scotland, Oran Mor, Theatre 503, The Story Project, the Traverse, the Tron, TAG, 7:84, BAC, Suspect Culture, the Arches, the Macrobert, Wee Stories, Catherine Wheels, the Edinburgh International Festival. Film and TV credits include work with BBC, STV, Matador, M&M. Radio work for BBC Radios 4, 4extra, Scotland. Audition Examiner and Acting Coach work for Rose Bruford College, The Alexander Gibson School of Drama and The Royal Conservatoire of Scotland. Theatre Practitioner work with Community groups and theatre companies including Solar Bear, Birds of Paradise and Scene & Heard. Script development work with NTS, the Traverse, 7:84 and the Aye Write Festival. David has appeared in Sherlock and Robin Hood and Marion at the New Vic Stoke, Lady Macbeth and Emmerdale. 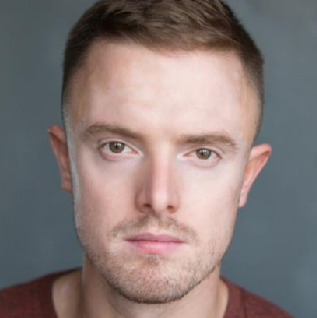 Previously he appeared in the Hoard Festival at the New Vic Stoke, and Shrapnel: 34 Fragments of a Massacre at the Arcola Theatre. Other theatre credits include Othello for the National Theatre starring Adrian Lester and Rory Kinnear, directed by Nick Hytner. David played the regular role of Hoy in the BBC series Privates and screen work includes Hetty Feather, Doctors, Inspector George Gently, Silent Witness and Holby City. He trained at Guildhall School of Music and Drama. Radio includes: The Ferryhill Philosophers, Tommies & Homefront (BBC Radio 4). TV: Doctors, Boy Meets Girl, Tracey Beaker Returns and Inspector George Gently. Theatre: How Did We Get To This Point (Alphabetti Theatre); Frank Sumatra (TheatreN16); NoBorder (Theatre503); #Trolls (Hull Truck); The Man & The Donkey (The Customs House); Death At Dawn (Linskill Centre, Newcastle); HomeTheatreUK (Theatre Royal Stratford East); Kingdom Come (Arcola Theatre); Rola Cola (Southwark Playhouse); Alf Ramsey Knew My Grandfather (Theatre Royal Newcastle/Darlington Civic); Skellig (Bloomsbury Theatre, UK tour & New Victory Theater Broadway). Her credits include: Jackie in On the Line (Small Truth Theatre, tour), Juliet, Miranda and Beatrice for BBC Bitesize Shakespeare (BBC + A Productions), Eve in ADA/M (entreZ, VR pilot), Chloe in Viking Seige (Tornado Films), Tia in Locks – State We’re In (Theatre503) and Chloe in The Man Who Left is Not The Man Who Came Back (Farnham Maltings, R+D). Charlotte is a graduate of the Royal Central School of Speech and Drama. Since graduating she has worked on a number of projects, focusing predominately on new writing. Ella Trained at Drama Studio London. Theatre credits include Margaret of Anjou (The Gallery On The Corner), Pride and Prejudice: The Panto (The Cockpit), Jekyll and Hyde and Beauty and The Beast (Teatro Sala Umberto), Twelfth Night (The Space), Dracula (Lion & Unicorn Theatre), A Midsummer Night's Dream (UK Tour) and The Toytown Christmas (London tour). Whilst studying for her undergraduate degree at the University of York, Ella performed in master classes directed by Michael Billington and starred in a comedy showcase at BAFTA. Radio credits includes Wooden Overcoats (Audioscribble), Dr Who: Love and War and Torchwood: Zone 10 (both for Big Finish Productions). He appeared in series five of Downton Abbey (which won the Screen Actors Guild award for Outstanding Performance by an Ensemble in a Drama Series) and he also featured in season two of Sky & Canal+ Anglo-French crime drama The Tunnel with Clémence Poésy, BBC1 police drama Cuffs playing seedy fortune teller Seb alongside Ashley Walters and Amanda Abbington. Recent work includes season two of Grantchester and leading roles in feature films: thriller God's Acre and crime drama The Pugilist. Matthew can also be seen playing Richard Long opposite David Tennant in new R.D. Laing biopic Mad To Be Normal.